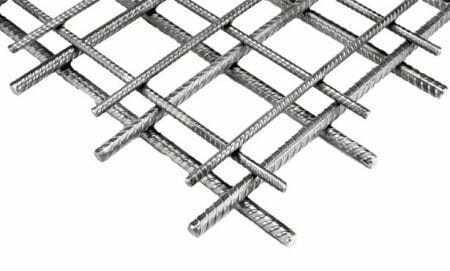 What are Stainless Steel Reinforcing bars? Stainless steel reinforcing bars are low carbon steel alloy bars and contains minimum 12% of chromium and 8 to 12% of nickel in it. Stainless steel bars are highly corrosive resistant and they can be cast, pressed and machined. Among the four types, only Austenitic and Duplex stainless steel bars are used as reinforcing bars in concrete structures. Austenitic stainless steel contain minimum 7 % of nickel which gives ductility to the steel, large scale of service temperature, nonmagnetic nature and also good workability while welding. This type of steel is mostly used stainless steel especially as reinforcement bars, industrial piping, and architectural facades etc. It is good against corrosion. A number after X represents the 100 times the carbon content. Cr, Ni, Mo, N and Ti represents Chromium, nickel, Molybdenum, nitrogen and Titanium and the numbers below them represents the composition of elements in percentages. For example if we take austenitic steel of designation “X5CrNi (18-10)” , It is the high alloy steel of 0.05% carbon, 18% of chromium and 10% nickel. Austenitic-Ferritic steel has combined properties of austenitic and ferritic stainless steel hence it is also called as duplex stainless steel. It contains less amount of nickel than austenitic. It provides good strength as well as ductility. It is very good resistant against corrosion. Duplex steels are widely used in paper, pulp, petrochemical industries etc. Duplex steel are also classified according proportion of main elements with different grade in different countries. Stainless steel bars majorly contain chromium and nickel as the second major compound. They also contain some other elements like molybdenum, nitrogen and very less amount of carbon. Composition of different grades of stainless steels is expressed in below table. The grades specified by AISI are taken into consideration. Chromium, the major element of stainless steel gives protection against corrosion by forming an oxide film on the steel surface. This film is adherent, rough and invisible. Whenever the bar is attacked chemically this film prevents the bar by releasing small amounts of oxygen. Increase in chromium content will increase the chances of formation of oxide film under critical conditions. Nickel improves the properties like ductility and formability of stainless steel. Other elements like Molybdenum, nitrogen are also improves the corrosion resistance along with chromium. The main property of stainless steel is the corrosion resistance. As explained earlier the corrosion resistance is obtained by the oxide layer formed by chromium content of steel. The tensile strength stainless steel bars is much more than mild steel bars. In stainless steels, duplex steel bars are stronger in tension than austenitic steel bars. Ductility of stainless steel is due to nickel content. Higher the nickel content higher the ductility. Austenitic steel has more ductility than duplex steel. At low temperatures, Austenitic Stainless steel bars have high tensile strength with excellent toughness. Other types like martensitic and ferritic are not suitable in cryogenic areas. Steel generally has good fire resistance and when it comes to stainless steel, even at high temperatures it cannot lost its strength. Except austenitic steel, all other types are able to attract to the magnet. Higher quantity of nickel eliminates the magnetic response of stainless steel. Following are the advantages of Stainless steel reinforcing Bars. Reduced life cycle cost for concrete structures. Good weld-ability for common rebar grades. 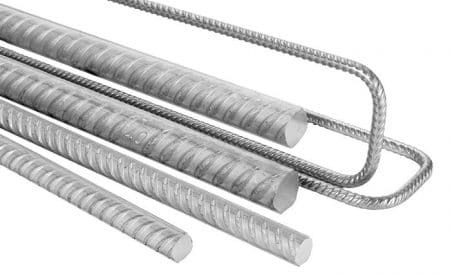 Good ductility for common rebar grades (capable of 3d U-bends). No coatings to chip, crack or degrade. No coating damage to repair. Capable of withstanding shipping, handling, bending. Magnetic or non-magnetic, depending on the alloy specified.